So for today’s Books and Cupcake’s Photo Book Challenge, the theme was “you reading.” I’ve been reading a few books off and on all year. 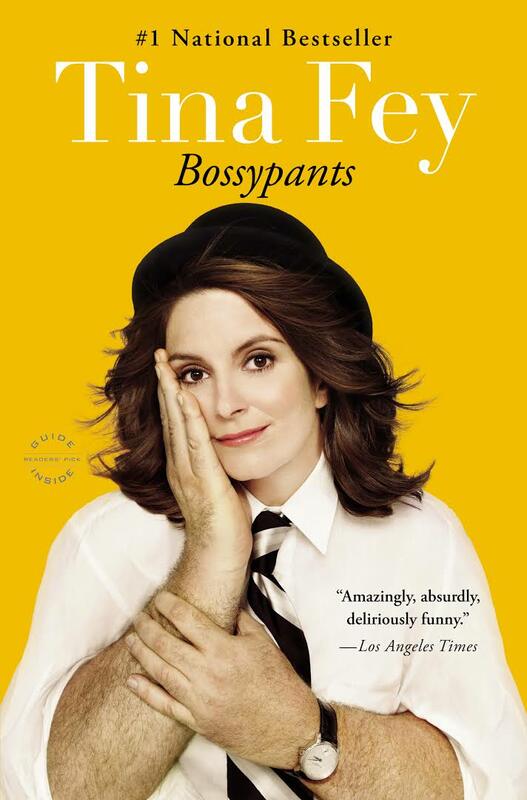 Tina Fey’s Autobiography “Bossypants” is one of those books for me. I’ve really enjoyed reading her story. In addition to the appeal of hilarious stories, wit, and a plethora of pictures, I have a personal connection to her story. Tina Fey grew up in my hometown, went to my high school (which she later modeled in “Mean Girls”) and performed in the same summer theater program that I did. However, you don’t have to have a personal connection like that to enjoy the story of one of the funniest and interesting women in entertainment! Hello everyone! I'm a 30-year old Middle School science teacher, which gets all kinds of reactions. When I'm not teaching, I'm either writing, playing video games, practicing violin, drawing, or reading. I've spent many hours hiking in the woods and have been known to stargaze. I live in Maryland with my awesome, supportive, and loving husband and although we don't have kids yet, my 100+ students keep me busy.